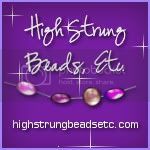 Handcrafted polymer clay and precious metal clay bead jewelry using Sterling Silver and 14kt Goldfilled findings. 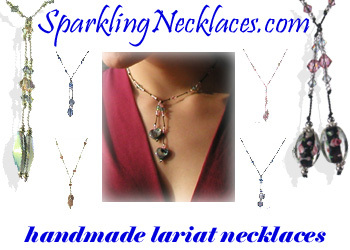 Handmade lariat necklaces with Genuine Swarovski Crystals on fine silk cord. Our unique lariat design ties in the front and adjusts to fit your style. Come see our selection of unique handmade necklaces! Le Petit Artist - Le Petit Artist is a bead and pottery studio located in Mount Penn, Pennsylvania. They teach a wide variety of classes/workshops and have a vast selection of beads, findings, and paint your own pottery. Also, make custom beaded jewelry.